Fifth Avenue on Saturday will be overflowing with Irish men and women as they celebrate the life of their patron saint, Patrick. This year's march will be New York City’s 251st St. Patrick’s Day parade. Fifth Avenue on Saturday will be overflowing with Irish men and women as they celebrate the life of their patron saint, Patrick. Bagpipers will wail, drums roll and the color green will float over the avenue in thousands of flags -- as every year. I’ve seen the parade for half a century and it is a stirring sight. The Irish wolf hounds leading the legions of marchers. The soldiers, sailors and Marines. The high school kids marching proudly under their school standards. The politicians walk briskly up the avenue after many handshakes with each other. The mayor appears and other city officials, including an assortment of would-be mayors, candidates to replace him. 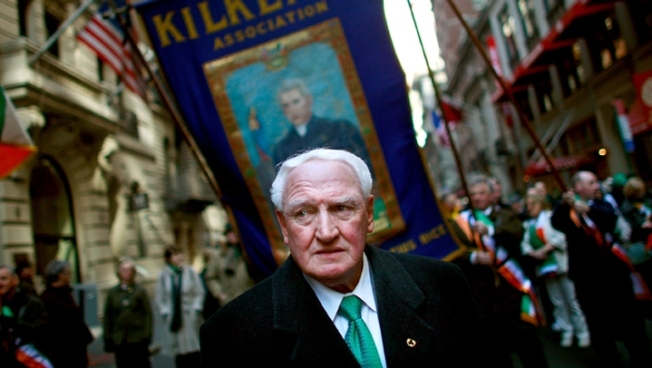 On this day when ethnic pride is celebrated you don’t have to be Irish to join the parade. White, black, Christian, Jewish, Muslim. They’re all involved. Although this is a Christian holiday, there are many non-Christian celebrators out there. “ In the ranks of death you’ll find him. 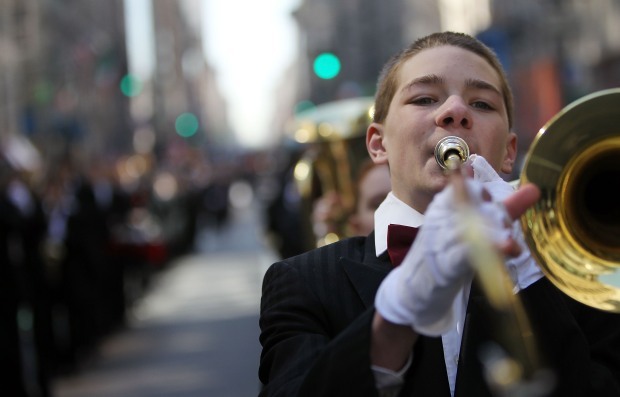 And, along the sidelines, on both sides of Fifth Avenue, are the most important element in any parade, the spectators. They cheer the marchers, celebrating the Irish influence in American history and, above all, the amazing life of one man, St. Patrick. Among these onlookers you can hear thick brogues. But there are so many other ethnic groups. If the Irish are showing ethnic pride, they are joined by non-Irish by the many thousands, as amazed as anyone by the long tradition that brings this parade to life year after year. St. Patrick was 16 when Irish marauders raided his village on the British mainland. He was sold into slavery and, later, became a Christian. He studied in a monastery in Gaul and was called to preach the gospel in Ireland, where he was appointed the second bishop of that nation. He converted thousands to the faith and set up schools and monasteries, enabling him to convert Ireland to Christianity. He popularized the shamrock as the symbol of the Catholic faith. Legend has it that he drove the snakes out of Ireland. He died on March 17, 461. So this is a celebration of death and life.